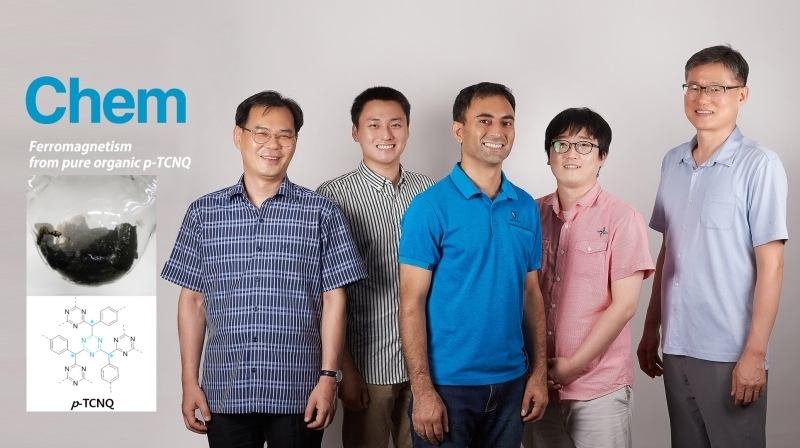 From left are Professor Jung-Woo Yoo, Dongbin Shin, Research Professor Javeed Mahmood, Jungmin Park, and Professor Jong-Beom Baek. Change of Magnetic Moment with Respect to Annealing Temperature. For over two decades, there has been widespread scepticism around claims of organic plastic ferromagnetism, mostly due to contamination by transition metals. 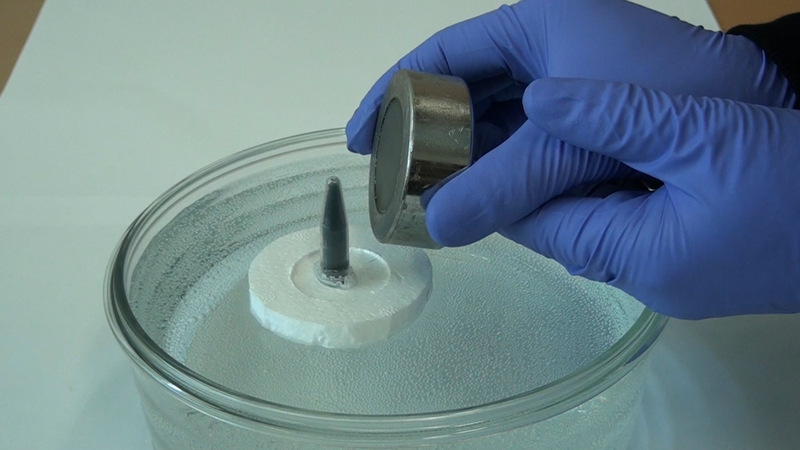 Extensive effort has been devoted to developing magnets in purely organic compounds based on free radicals, driven by both scientific curiosity and the potential applications of a ‘plastic magnet’. Excluding the contamination issues and realizing magnetic properties from pure organic plastics must occur to revive the quest for plastic magnetism. 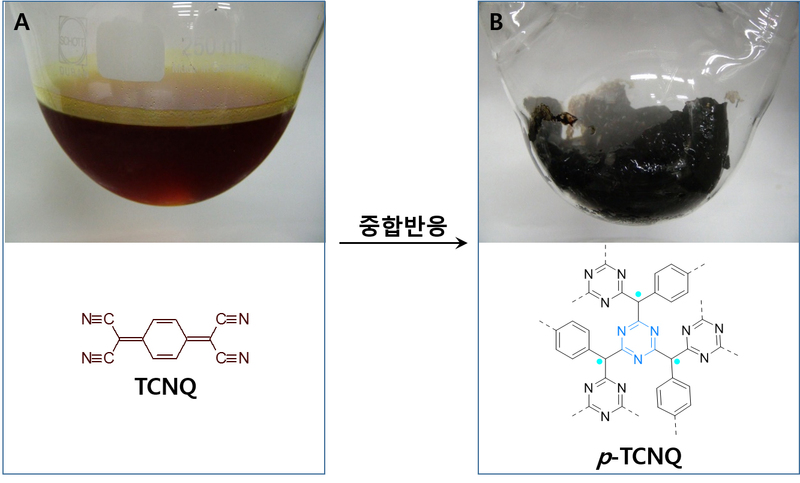 △ The Response of p-TCNQ Sample (Placed on Flat Styrofoam) toward External Magnet on Surface of Water. 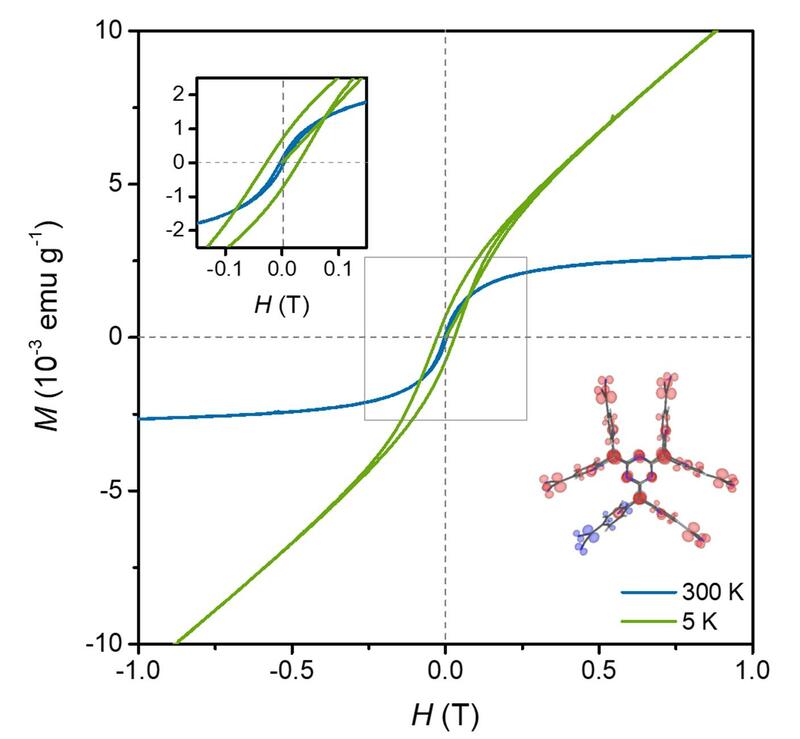 Javeed Mahmood, et al., “Organic Ferromagnetism: Trapping Spins in the Glassy State of an Organic Network Structure,” CHEM, (2018).